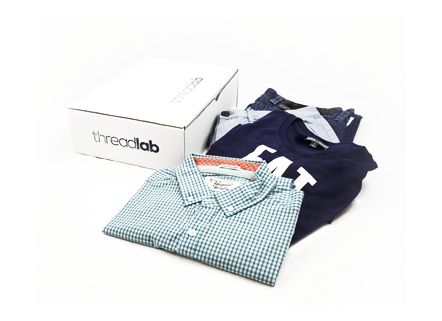 Home | ThreadLab. Men's clothing. Easier. Tell us what you like and our lab does the rest. Tell us your sizes, style preferences and budget. 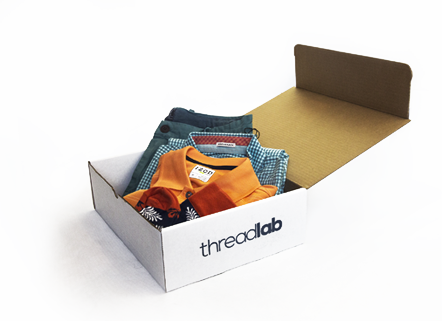 To place an order, select a box size and the kind of clothes you're looking for. 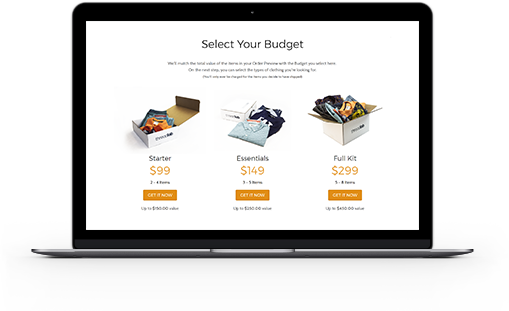 Get a handpicked selection of items, personalized to fit you and your budget. 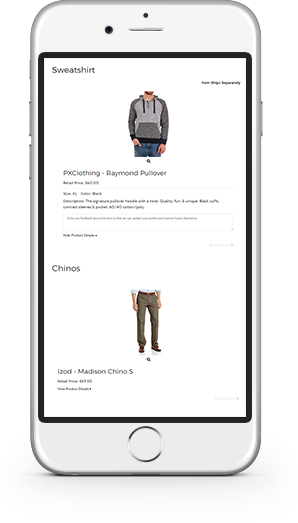 Plus, you can preview and edit your order before we ship it. Your clothes come to you. No malls, no endless searches, no hassles. Plus, you're covered with 365 Days to Return and Free Shipping both ways. 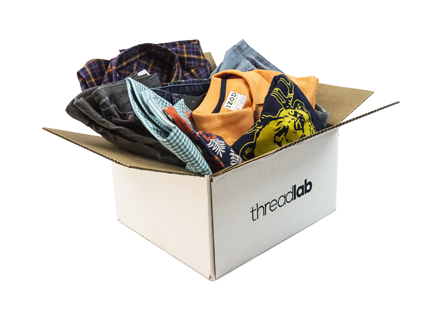 We know there's a wide variety of subscription clothing services and online personal shoppers out there. Every shipment is unique and we email you an online Order Preview that you can edit before we ship. We cover the shipping both ways and allow up to 365 days to return products. 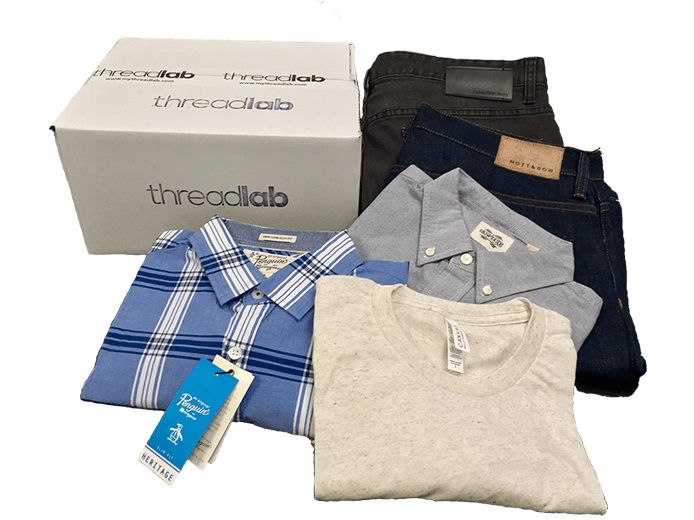 ThreadLab charges no styling fee and there is no minimum spend required. Return any items for a full refund with zero risk and no hassle. Order on demand any time you need, or set up a schedule. No pressure and no subscription required. We will find you the optimal brands, sizes and fits for your unique body type. 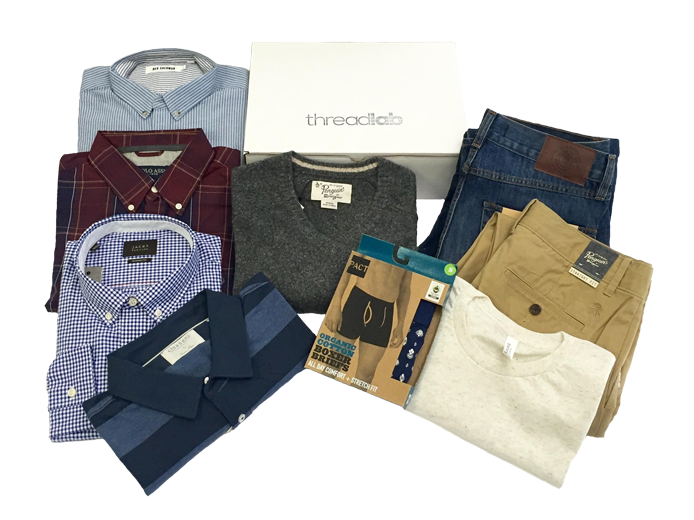 We source from both large well known brands like Calvin Klein and Tommy Hilfiger and smaller start-up brands like Pistol Lake and Jumper Threads.